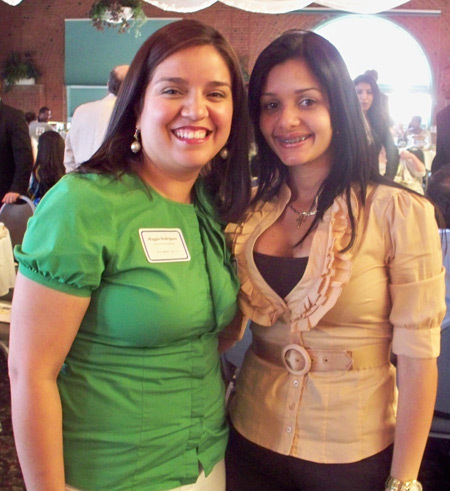 The mission of Esperanza is to enhance educational and economic opportunities for Hispanic Americans. Sixty-one students received scholarships June 25, 2010 at Esperanza's twentieth Fiesta of Hope scholarship luncheon at Windows on the River. 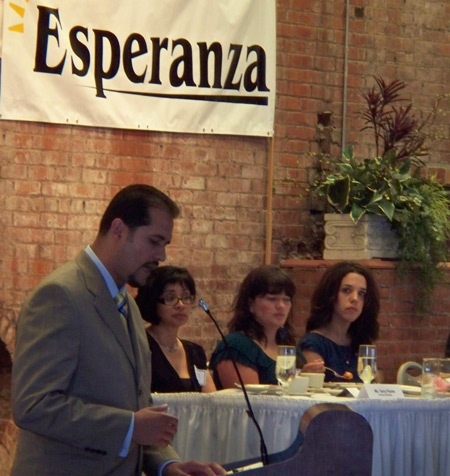 Esperanza - "hope" in Spanish - is precisely the commodity produced by Esperanza, Inc. Since 1983, thousands of Greater Cleveland area students have received academic tutoring, technology training, leadership development, mentoring, college and career counseling, and scholarship assistance through our services. Esperanza serves primarily (but not only) Hispanic students in schools large and small, public and parochial, inner-city and suburban. 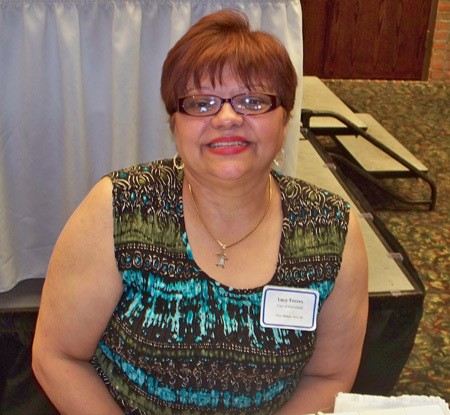 The only non-profit organization of its kind in Ohio, Esperanza provides educational services to Hispanic students from elementary school through college. The dropout rate for Hispanics in Cleveland is just under 50% and is higher than any other ethnic or racial group (CMSD 2003-2004 Report Card). 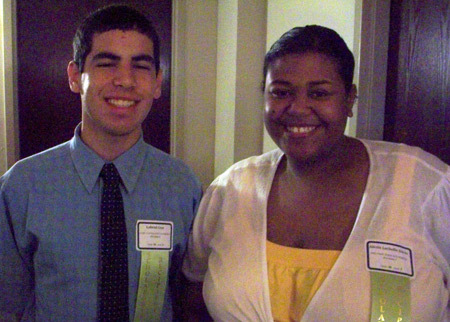 In 2003-2004 only 50.9% of Hispanics graduated from Cleveland Municipal high schools. Access to computers and technology is very limited. Hispanics will not be able to compete in the job market where technological skills and knowledge are required in all industries and are more at-risk for falling deeper into the digital divide. Hispanic families tend to have low academic achievement. For Hispanics 25 years of age and older, 68.9% have less than high school education and 29.6% have less than a ninth grade education. In 2000, only 8% of Cleveland's Hispanic population aged 25 or older had attained a bachelor's degree or higher (Brookings Institute, 2003). The national dropout rate for Hispanics has been consistently the highest of all ethnic groups from 1972 - 2004, according to the National Center for Education Statistics. For 2004, the rate for Hispanics ages 16-24 who quit high school is more than double (23.8%) the national average (10%). Esperanza has seen and reported these alarming facts and said "NO MAS!" (No more). 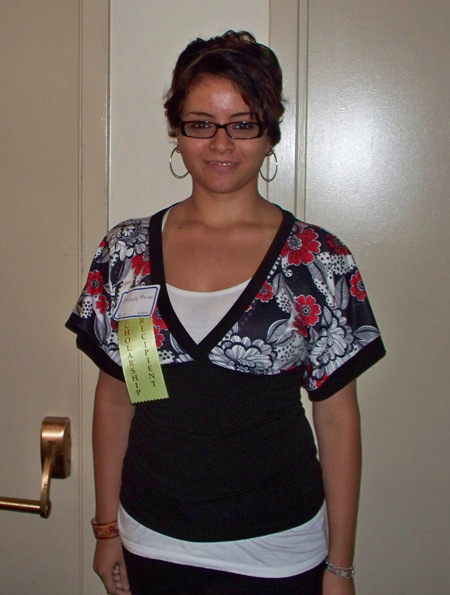 Esperanza has met the battle head-on and has refused to allow statistics and past-practice to stop them from tapping into the natural intelligence and dreams of Hispanic youth. They have celebrated the individual and his/her accomplishments and rewarded their efforts. Esperanza awarded its first college scholarship in 1983. 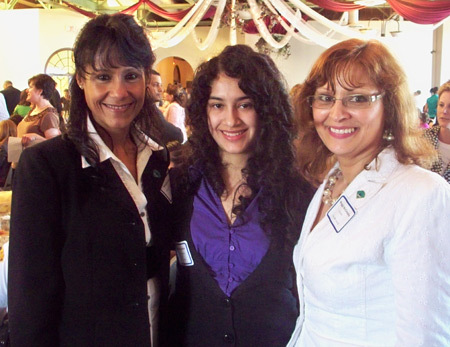 Since awarding just one college scholarship that year, Esperanza has grown steadily to where it has been able to award over 700 college scholarships through 2009. Through the generous support of corporations, foundations, and individual donors, Esperanza is able to offer its assistance to Hispanic students in Cuyahoga and Lorain Counties. 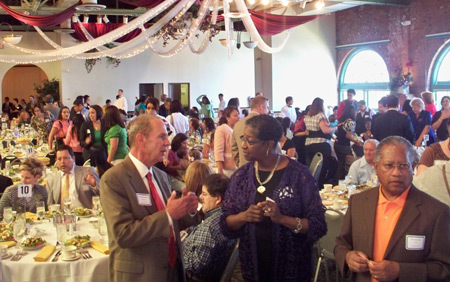 Esperanza is currently providing more educational-support services, tutoring more students, offering more programming, funding more scholarship opportunities and facilitating more collegiate cooperation than at any time in Esperanza's history. 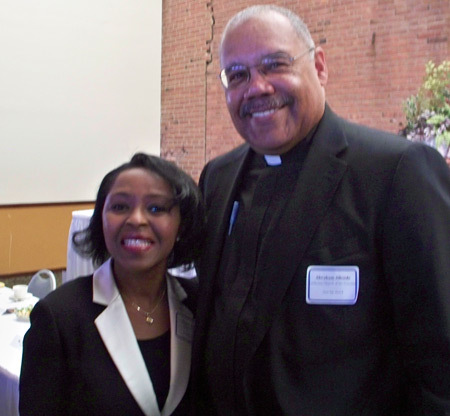 Eleanor Hayes, Director of Minority & Women Talent Management, Cleveland Clinic served as Mistress of Ceremonies. 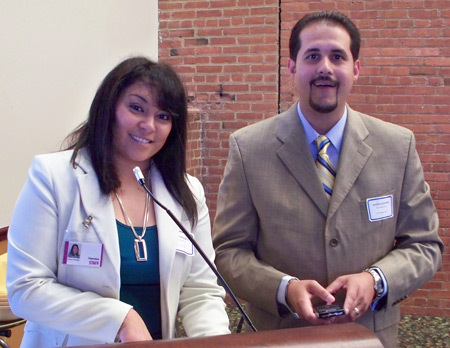 She introduced Victor Ruiz, the Executive Director, Esperanza, Inc.
Mr. Ruiz said he dreams of an educated Hispanic community that contributes to Cleveland's success. Rev. 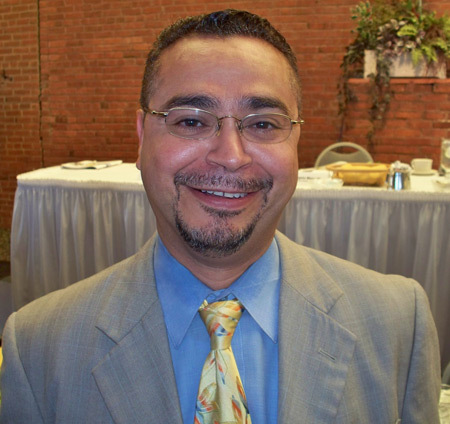 Abraham Allende from Lutheran Church of the Covenant gave the invocation. 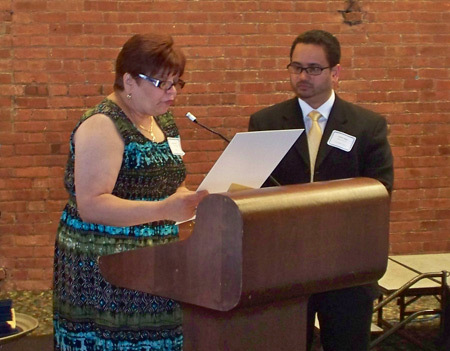 Lucy Torres from the City of Cleveland read a proclamation from Mayor Grank Jackson. 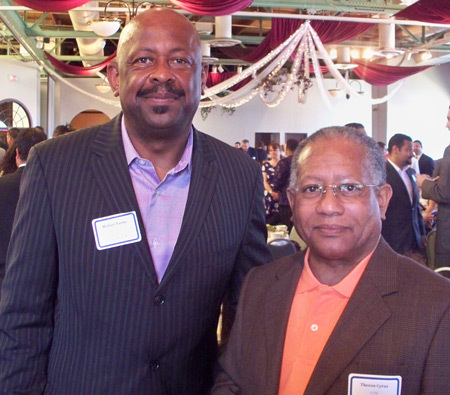 This year's Keynote speaker was himself a recipient of an Esperanza Scholarship. Director of Diversity and Community Outreach at Cleveland Clinic, Dr. Andres Gonzalez knows the impact the scholarships have on a person's life. 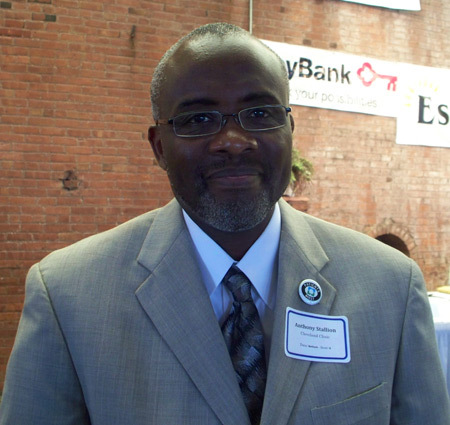 From his scholarship, he went on to receive a Masters Degree in Education and hold a position in one of the finest hospitals in the country. When he speaks of the importance of Esperanza and education, he does so from the position of one who knows firsthand, and is now committed to giving back and sharing what he has learned with others. 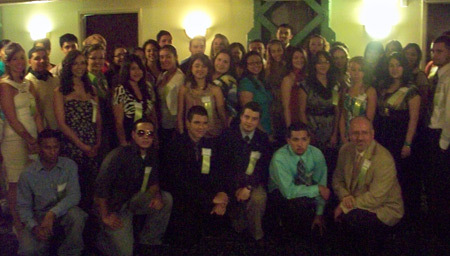 Congratulations to the scholarship winners and to Esperanza for their life-changing work. Enjoy these pictures from the event.